Like to eat in glorious technicolour as you catch a bright Bollywood flick? Spice both on and off screen is yours for the savouring at The Lounge within the Odeon Whiteley’s. For the forthcoming fortnight, the adults-only venue is screening superhero spectacular ‘Krishh 3’ and serving up some fitting food to gobble while you goggle. The menu offers everything from snacks to a full-blown mughlai feast fit for any superhero, the latter featuring chutney, samosas, bhajia, lamb chops, ‘Mughlai Curry’ and rice. Like any fairytale film finish, it’s important to end on something sweet – gulab jamun are suitably syrupy. The decor of the Old Westminster Library that houses Vivek Singh’s most upscale eaterie is rather more muted than the lurid hues Diwali demands. But fear not – all the colour you need comes from the food served in these elegant environs. The 4-course menu kicks off with a tasting platter featuring a trio of tasty treats; steamed dhokla and green pea kachori, plus tandoori chicken for meat-eaters, or wild mushroom pickle for veggies. Then it’s either lamb fillet and the awesome allure of chargrilled pheasant with green moong kedgeree and curried leg meat, or spiced corn soup and a pretty pretty package – pumpkin chutney parcel with kale, chestnuts, and yoghurt sauce. To finish, another terrific trio; shahi tukra, kheer and gulab jamun (all going by their English monikers on the official menu). 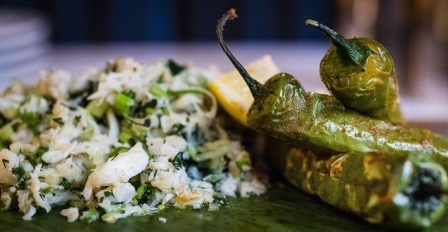 According to the Asian Curry Awards, Sabir Karim is Chef of the Year – and the garlanded fellow is getting into the festive spirit with a duo of menus for Camden restaurant, Namaaste Kitchen. The Diwali set menu is a guaranteed to light up the eyes of any Indian food fan, commencing with a tandoori trio segueing into a sharing banquet featuring lamb vindaloo, saag paneer and saffron pilau; and closing with carrot halwa and coconut ice cream. If you’re splashing the cash and not worried for your waistline, opt for the Tasting Menu – a 5-course feast plus a glass of something sparkly. Scallops, coriander chicken and prawn balchao all make fine starters – but the tandoori mushroom filled with figs, cashew nuts, raisins, green chilli & homemade paneer in a curry leaf dressing sounds super-scrumptious. For mains, go Goan with sea bass or venture North for the royally rich pistachio chicken korma, or tender Peshwari lamb chops. The unconventional cheese course reflects Sabir’s globe-trotting gustatory tastes, whilst passion fruit cheesecake delivers a rather more anticipated slice of exotica. Both the sleek Covent Garden and superbly shabby Shoreditch branches will be offering feast menus for a fortnight. Both meat and veggie options begin with a brand-new libation for the celebration. The Sita-suitable ‘Princess Sling’ fuses Old Tom gin, maraschino liqueur, pomegranate, lemon, and addictive sour-smoky kokum. For the veggies, mains are preceded by pau bhaji and the snack that has one exclaiming ‘hells bells!’ – that heavenly hash, bhel. Then stay celestial with paneer’n’pomegranate koftas and dum-cooked biryani. Meat-eaters get the chicken berry version, the most cracking chilli garlic crab you’ll get your claws into, and starters of keema pau and signature skate cheeks. Dollop on more decadence with house black dal, raita and naan, and you’re looking at quite a decent Diwali dinner. Add a tumbler of chai and a spicy ice, and it becomes a feast most excellent indeed. Traditional diyas and Indian music will transform Bromley’s brightest venue into a blazing haven in which to sample the ‘Diwali Thali’, whose rhyming name feels almost as pleasing in the mouth as the Michelin-recommended restaurant’s super food. Thalis are a nifty way to serve up; allowing for an individual indulgence or a table-wide sharing frenzy. For starters, dig into dahi puri, samosas and hara bhara kebabs (another one for the poet in me). Then it’s onto the main event – paneer, sag aloo and mixed veg for veggies; Goan fish, Punjabi lamb and dhabba chicken for carnivores. Both are perfectly padded with baigan masala, dal, rice, roti, raita, salad, papad, pickles. Do save sufficient space to cram in kheer and a few morsels of mithai. Just in time for Diwali, the brilliantly bonkers ‘thieves’ market’ is illuminating Mayfair’s dining scene with the launch of the Bollywood Basement, celebrating 100 years of Indian cinema. Like the flashiest filmi starlet, the private room is resplendent in its finery; its gold walls bedecked with mirrors and glamorous Bollywood images Bollywood set into antique frames, bejewelled chandeliers swinging from the ceilings. For Diwali, Chor Bizarre has created a duo of drinks – ‘The Bengal Tiger’ and the ‘Tamarind Margarita’ (see the Recipe section of this post for DIY versions). Sup as you supper on one of the restaurant’s renowned repasts, recognising the rare splendour of the Kashmiri kitchen. Don’t miss Nadroo Churma – spiced lotus root crisps; fennel-and –ginger flavoured paneer; or regal rogan josh. For the past decade, Putney has been the unlikely setting to find a little slice of Goan sunshine. This Diwali, Deepak and Mama Kapoor will welcome guests with a traditional puja (blessing) before treating them to a festive feast of street food specialities; traditional layered biryani accompanied by yellow dal, aubergine raita and Indian breads; and a choice of sweet endings – mango kulfi, gajar halwa or ras malai. 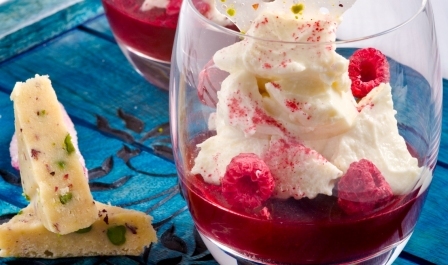 Stick to soft drinks, or be wowed by matching wines and let the celebrations go to your head! The warm candlelight and flat, zen-like pool dotted with floating flowers welcomes you to a trademark tranquil eating experience at Benares. From now until Diwali, Atul Kochhar is showcasing some of his festive favourites on the restaurant’s pure vegetarian Diwali Tasting Menu. In the man’s thoroughly modern manner, the meal features a palate-cleansing nimbu pani sorbet, a trendy trio of paneer, and a ‘melody of mushrooms’. 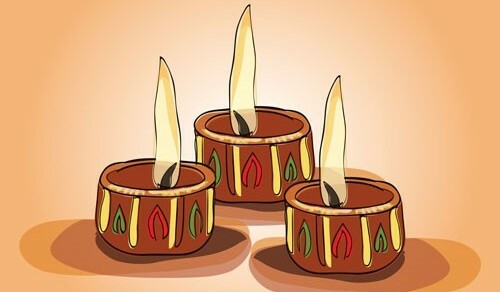 Quote ‘Diwali Candle Offer’ to be in for a treat if you’re one of the first 50 guests to book. If you like to party hearty, and have your Diwali to go with a bigger bang than the loudest firework spectacular, head to Chak89 for the chance to dance and dine the night away. There’s a three-course, 10-dish menu served to your table, big Bollywood and bhangra tunes, and live singing from Kismet Radio’s DJ Surinder. The Indian restaurant with enough cocktails to have you seeing stars has paired up with Tanqueray Gin to launch a twinkling ‘Tea Light Lounge’ just in time for Diwali. 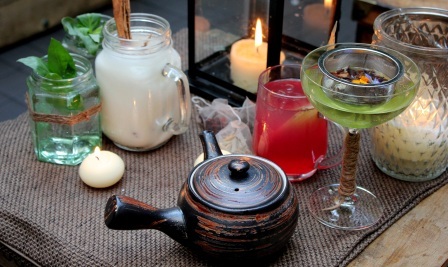 Resident mixologist and gin-fiend Adam Spinks has his eye on chai, curating a tea-infused cocktail collection, ideal for imbibing as you swap the mean streets of Soho for the candle-lit lounge. Moti Mahal is the elegant, understated choice for those who don’t like their celebrations too bright and brash. Flavours at the high-end joint are similarly refined and perfectly tailored to each diners’ palate – starting with the salad served as a selection of whole vegetables to cut and dress to your own taste with chaat masala and mustard oil. The restrained revelry kicks off with bhalla papri chaat and stuffed baby corn for veggies; chooza chicken and banana-leaf fish and crab for carnivores; and tandoori paneer for both parties. Interesting mains include clove-scented venison, prawn mappas, morels in yogurt gravy and bottle gourd kofte with prunes. A single spoonful of signature dal makhani is reason enough to celebrate in itself. For a glimpse of last year’s Diwali delights at Moti Mahal, click here. Indian Summer’s been bringing sunshine to Brighton’s residents for over a decade, and the restaurant’s annual Diwali festivities have become a bit of a tradition. Forget heavy dishes rather heavy-handed on the masala; Indian Summer’s stuff is as bright’n’breezy as the seaside city itself. Put all ingredients into a shaker with plenty of ice cubes and shake hard. Pour into a tulip glass and add a little grenadine syrup. 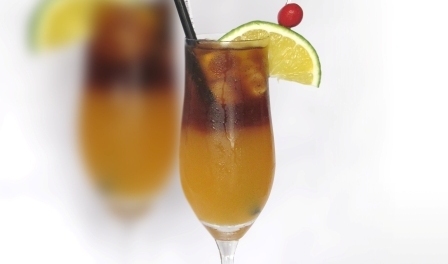 Garnish with an orange slice to serve. Garnish with lemon and lime slices to serve. You can almost hear the cheer in Diwali dahi gujiyas from Sinfully Spicy, the charming name of the triangular turnovers which replace vadas in this reworked chaat meaning ‘little bells’. At any kind of celebration, the dominance of fatty fried snacks will ring a bell, but the savouries don’t have to be so sinful. Vegan Richa’s healthier remixes encompass edibles like baked namak pare. This chick loves her chana – check out roasted garam masala chana, chana masala spiced nuts, and fennel-flavoured chana muruma mathri . You’d be churlish to turn down chivda; luckily, the addition of superfoods like sprouted chana and dryfruits in Vegan Richa’s means you can indulge to your heart’s – and stomach’s – content. Dassana’s crackers for savoury crackers with her mathri, whilst, for Miss Masala, it’s all about the humble spud, showcased in dahi wali aloo and masala aloo. From Cooking and Me comes a tempting trio of Tamil treats – thattai, and the wonderfully wiggly kai and thenkuzhal murukkus. Ãhãram offers Andhra Pradeshi specials – jantikalu, aka ‘crunchy munchies’ and crisp, circular chegodi. For recipes that rove the subcontinent in a single spectacular serving, visit Dassana‘s scrumptious selection of 75 Diwali Snacks. If you’re decorating with diyas, why not deck out your mithai like the tiny lamps, too? DESIiblitz’s super-cute recipe for Edible Diyas consists of coconut burfi filled with khoya and a tiny almond sliver ‘wick’. For more ridiculous cuteness, these coconut laddoo characters from Padhu’s Kitchen are irresistible. Sinfully Spicy’s coconut burfi adds character by adding dulce du leche to the mix for a decidedly decadent Indo-Mex remix. Vegan Richa’s similarly nuts for coconut and loopy for laddoos, presenting her innovative coconut, beetroot and orange and coconut-besan balls, along with an oil-free wheat version for fatphobes. Who doesn’t love a laddoo at Diwali? If you’ve a yearning but no time to stand and stir, learn Bong Mom’s miracle microwave besan laddoos – ready in a flash. Dassana’s flashy dryfruits laddoos from Veg Recipes of India is packed with fibre – surely almost a health food. After all, if your mithai are both delicious and nutritious, you can justify just a few more. 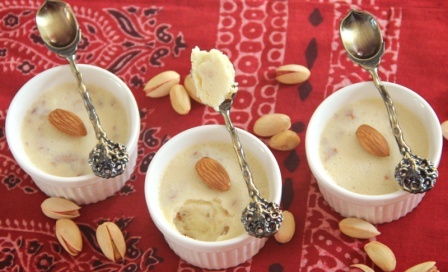 Sindhi Rasoi makes the impossible possible with a sugar-free sweet: khaskhas jo seero. The Holy Cow Vegan blog offers almond halwa, badusha, and saffron shankarpali, replacing dairy milk with soy or nut stuff and cutting fat. Cosmopolitan Currymania’s singhara burfi is perfect for those looking for a gorgeous gluten-free gorge. Vegan Richa’s animal-free mithai don’t monkey around, either, apeing their traditional counterparts amazingly well. 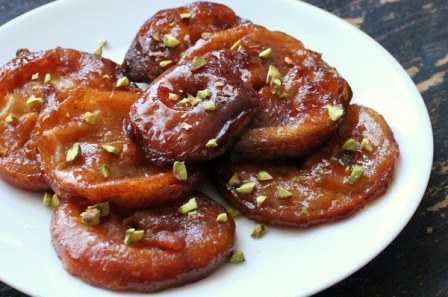 Try apple jalebi fritters with rabri for a fruity twist on those batter spirals, clever cashew-based gulab jamun, or sheera for sheer comfort. Bread and butter pudding is a British comfort classic. To make it fit for festive feasting, try the classic Hyderabadi double ka meetha from Cooking and Me, or perhaps the rawa puran poli – a flatbread wrap that wraps you in its warm embrace. You’ll also find gajar kheer here, whilst over on Indian Simmer, gajar halwa positively glows with celebratory cheer. For yet more gorgeous glow, head on over to Sinfully Spicy and give the kesar-infused jalebis a whirl. 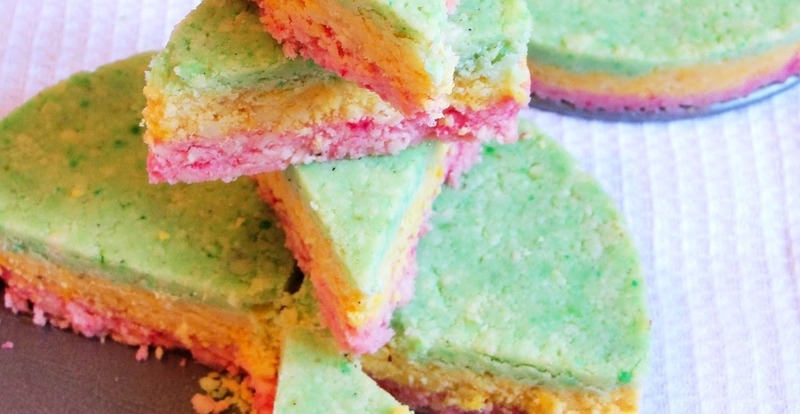 KO Rasoi’s Tri-Ranga paneer burfi is even more colourful – a triple-deckered, multi-hued confection. Talking paneer, if you like your festive recipes a little cheesy and very simple, try the microwave kalakand recipes from Bong Mom or Miss Masala. Prefer pastry? On Cosmopolitan Currymania, you’ll find these mind-blowing mini samosas, filled with cream cheese and much more besides. Besides those plump pastries, fry up a few of Ãhãram‘s coconut-crammed karanji. There’s coconut in the unusual Tamil-Brahmin Okkarai from Padhu’s Kitchen, too – a heavenly hash including channa and mung dal, jaggery and cashews. Another Southern sweetie is condensed milk-based Thiratipal/Palkova – try Padhu’s classic or Edible Garden’s 10-minute microwave version. There’s another couple of creamy confections to be had with Cosmopolitan Currymania‘s beautiful Bengali bhapa doi, and the quick and easy rasmalai from Cooking and Me. If you’re more inclined to go nuts when it comes to sweetmeats, kaju katli is the Indian answer to festive almond marzipan – prized due to the sky-high price of the cashews it’s made from. Indian Simmer offers an easy home-made version. Feel like going nuttier still? Check out these cocoa-covered pistachio and date truffles. In much the same manner as Diwali has become a globally-embraced celebration, Indian cooks are embracing global influences on their festive foodstuffs. The Botanical Baker‘s infused India into these fancy French-style shrikhand tarts, whilst Chin’s Kitchen rolls out a recipe for some pretty fancy roll-ups: badam-pista palmiers. Her chai-spiced butter biscuits, meanwhile, are moreish, melt-in the mouth marvels, while meetha paan cupcakes use that mouth-freshener in a fresh new way. More classic but no less magnificent are Chin’s rose and cardamom penda. If that’s not more mithai than you could shake a shakkerpare at, I’ll eat my halwa. But if you really think you need your sugar levels shooting even higher skywards, sink your sweet teeth into Dassana’s delicious, 40-strong Diwali sweets summary, an obscenely comprehensive compendium from Vegeyum, Vegan Richa‘s lengthy list, or this delectable duo of celebratory collections from Cooking and Me. Prefer to look at a book? Check out Vegan Richa’s sweet one here.